Award winning actress and performer Kellita Smith recently returned to Chicago to host and narrate WTTWs upcoming original documentary, DuSable to Obama: Chicagos Black Metropolis. Smith, best known for her role as Wanda McCullough, the wife of Bernie Mac on The Bernie Mac Show, is Chicago-born with an acting career that spans more than 20 years. Kellita developed her acting talent when cast in the play, Tell It Like It Tiz, which toured the U.S. for two years. In addition to her role on The Bernie Mac Show for over seven years, Smith has held recurring roles on CBS Nash Bridges; UPNs Malcolm & Eddie; FOX Televisions Martin; the WBs Jamie Foxx Show; Sister, Sister; and NYPD Blue. Most recent films include Roll Bounce, a Fox 2000 Film; Kings Ransom with New Line Cinema; Fox Searchlights Kingdom Come starring Whoopi Goldberg; Marimaxs The Crossing Guard with Jack Nicolson directed by Sean Penn and New Line Cinemas House Party 3. Smith is adding author to her bio as a columnist for Girlfriend Magazine and is planning her participation in an upcoming comedy tour that will also double as an opportunity to promote a new book in development. Kellita has received five award nominations and the 2005 BET Comedy Award for Outstanding Lead Actress in a Comedy Series for her role in The Bernie Mac Show. Her theatrical credits include the Los Angeles productions of No Place to Be Somebody at the K.C. Theatre Company; Feelings (The Hudson Theatre) for which she won a NAACP Theatre Award for Best Supporting Actress; and The Thirteenth Thorn (Complex Theatre) for which she was nominated for an NAACP Image Award for Best Actress. Smith has appeared in numerous magazines including Savoy, People, TV Guide, Esquire, Fitness, Glamour, Vanity Fair, Cosmopolitan, Jet, Todays Black Woman, and Essence. 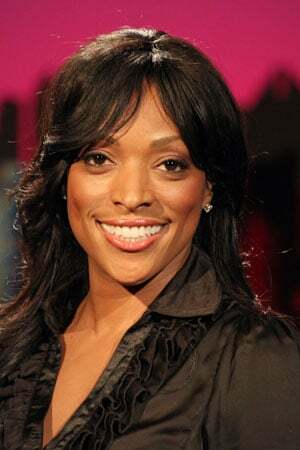 Kellita Smith currently resides in Oakland, California where she is working on a several new television and film productions.